The Manhattan District Attorney’s Office, the New York City Department of Investigation (“DOI”), the Port Authority of New York and New Jersey (“PANYNJ”) Office of the Inspector General, the Metropolitan Transportation Authority (“MTA”) Office of the Inspector General, and the Business Integrity Commission for the City of New York (“BIC”) today announced the Construction Fraud Task Force (“Task Force”) to identify and prosecute citywide corruption and fraud in the construction industry. The investigative agencies comprising the Task Force meet monthly and work collaboratively to probe the commission of crimes including fraud, bribery, extortion, money laundering, bid rigging, larceny, and safety violations, among others. The success of criminal cases brought against individuals and companies is in part attributable to interagency cooperation and the consolidation of information and resources. By working together to investigate those compromising the integrity of the construction and trade industry, the overarching goal of the Task Force is to ensure fairness and safety, as well as deter future fraud and misconduct. 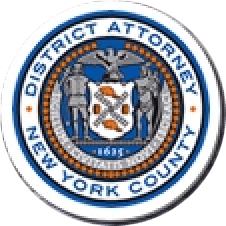 Assistant District Attorney Diana Florence of the Manhattan District Attorney’s Office’s Rackets Bureau has been appointed Attorney-in-Charge of the Task Force.